There is much discussion about the conflict between Ukraine's nationalist movement the Right Sector and the government. In Lithuania, the situation is seen as playing into the hands of Russia: the Right Sector is the "weak link" that the Kremlin is exploiting for its own ends. Indeed, one of the scenarios that Russia seeks to achieve in Ukraine envisages inciting political turmoil, discrediting its government institutions and political leaders and, finally, turning Ukraine into a “failed state” that would simply not be able to survive without Russia’s protection. All is clear when it comes to Russia’s interests. 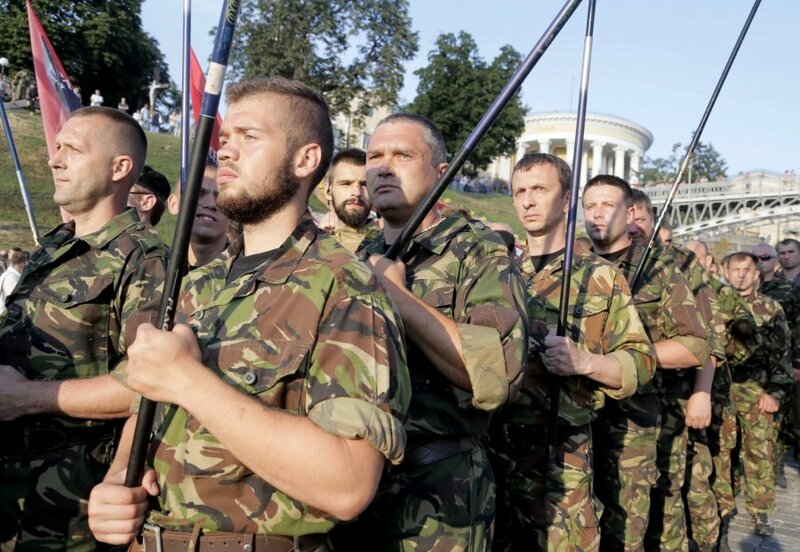 Yet the question posed is whether or not the openly patriotic Right Sector movement is the “weak link” and a driving force of the scenario that Russia seeks. It should be emphasized from the very beginning of the Maidan revolution, there have been allegations made against this organisation. It has been said that Russia can try to take advantage of the radicalism of these Ukrainian nationalists and in so doing cast a shadow over the entire Ukrainian revolution. There have been many things said but no proof presented. It is after all difficult to find a trace of the Kremlin amongst those who overthrew Russia’s puppet Viktor Yanukovych, so these critics have been silent for some time. Nonetheless, the nationalist movement’s conflict with law enforcement institutions in Ukraine’s Zakarpattia region is unravelling over a thousand kilometres away from the frontline. This is the reality that encourages the Right Sector’s critics to demand what people of this organisation are doing with weapons in their hands so far away from the flashpoint of the military conflict in Donbass. Could it be that the organisation decided to involve itself in corrupt schemes and the conflict was a result of power struggle over spoils? This movement is so decentralized that even its leader Dmytro Yarosh might not have a good grasp on it. It’s possible to look at the whole situation from a different angle. Those interested in what the Right Sector is doing know well that the movement is not only protecting Ukraine from the Russian-backed separatists but is also radically active in places where official authorities will not or cannot bring order: fighting organised drug dealers in various regions of Ukraine, eliminating obvious hotbeds of corruption and kleptocracy. Indeed, only informal community volunteer factions can fill the vacuum where state institutions aren’t functioning. 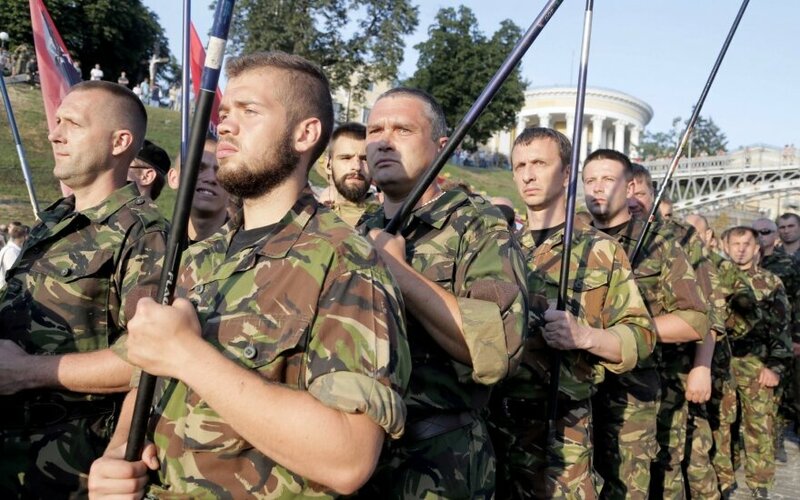 It is namely the volunteer battalions that were the first line of defence against the expansion of the “Novorossia” project, when the Ukrainian army was still plagued by insubordination, ineptitude and corruption. Ukraine’s most important “weakest link” is not the Right Sector but the oligarchic political system. Even if Ukrainian oligarchs are not pro-Russian, the rules of the game and ways of corruption are a legacy of the post-Soviet world. In wanting Ukraine to become a part of the European space, what has to be changed essentially are these rules. If the country fails in this task, Russia will inevitably return to Ukraine’s political and economic life. There are still many in Ukraine who remember the Orange Revolution when people hoped for a fundamental restructuring of the political system only to have one oligarch take over power from another. Nobody except Russia wants to see the whole thing repeated. The Right Sector’s way of doing things is, doubtlessly, out of line with European rules or Ukraine’s integration into NATO. Moreover, it is the existence of such paramilitary non-governmental organizations that keeps some Western countries from deciding on supplying weapons to Ukraine. However, we are still talking about a country that is in the midst of an ongoing revolution. Only once oligarchy and corruption are reined in, can we start talking about accomplishments of the Maidan revolution goals. And decide the fate of organizations like the Right Sector. It’s fashionable today in Europe to criticise nationalist movements and seek out their links with the Kremlin;s interests. But let’s be honest and admit that liberal Europe must be grateful to Ukrainian patriots for protecting Europe from the steppe werewolf.